Join Margaret Peterson Haddix for a special LIVE webcast to celebrate the launch of her new middle grade series, The Greystone Secrets! Watch as Margaret talks about the inspiration behind her books, and the ways young readers across the country have impacted her as an author. 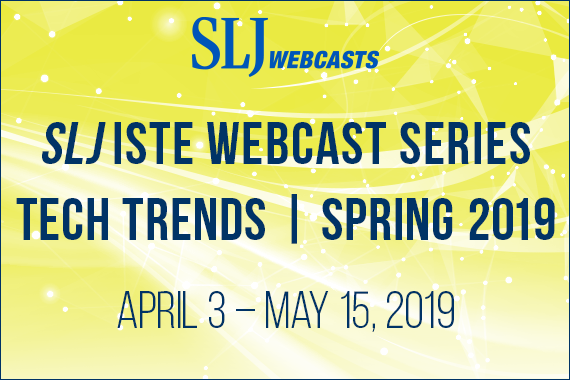 Game-based learning, AR/VR/Mixed Reality, and SEL--the hottest topics in education will be front and center in this edition of our popular webcast series, a coproduction of School Library Journal and ISTE. Led by top practitioners in the field, these free one-hour programs will offer practical insight into the latest technology, with implications for schools and libraries. 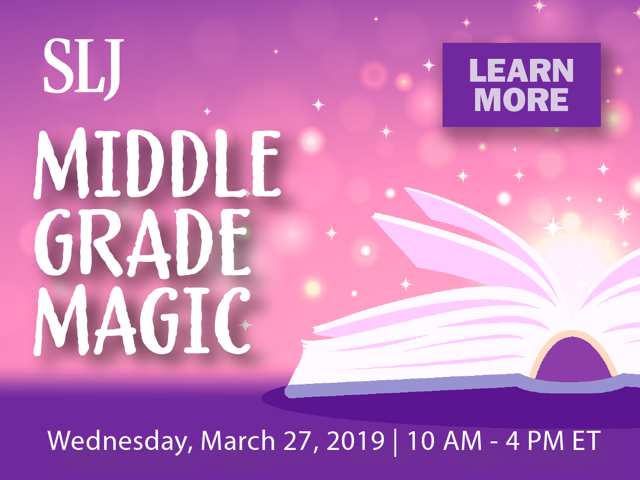 Join School Library Journal for our inaugural Middle Grade Magic virtual summit, a day-long celebration and exploration of one of the burgeoning and most important – areas of publishing for young readers: literature for children ages eight through 12 – and beyond! Attendees will get a behind-the-scenes glimpse at some of the most anticipated new titles for kids and tweens, from laugh-out-loud tales to eye-popping graphic novels to enveloping fantasy. Attendees will also have the opportunity to check out the virtual exhibit hall, chat directly with authors, download educational resources, and receive prizes and giveaways. Looking to add more adventure to your collection this spring? Join moderator Alec Chunn along with a panel of publishing insiders who will share some of the hottest graphic novels hitting the shelves this season. You'll hear all about upcoming releases for middle grade and teen readers -- don't miss the fun! Who doesn't love new and engaging nonfiction? From a delightful tale of a budding ballerina to STEM projects for Minecraft lovers -- and everything in between -- these fun and informational series and titles are sure to inspire your curious students and young patrons. Join publishing insiders for an array of nonficiton to deck out your shelves this spring! Join School Library Journal for a live conversation featuring the finalists for the 2019 YALSA Excellence in Nonfiction for Young Adults Award. Register now to learn a bit about the inspiration behind these fantastic titles; hear from the authors about their background, writing processes and motivation; and take away some insights into how publishers select engaging and relevant nonfiction titles for teens. Don’t miss out on this exclusive event ahead of the award announcement at the ALA Midwinter Meeting in Seattle. The Power of Independent Reading: Dynamic Strategies Using High-Quality Authentic Texts to Foster a Love of Reading! Join this webinar to learn from literacy expert Pam Allyn as she shares innovative strategies for using authentic literature to ensure all children become lifelong readers and writers. Pam will present effective structures and routines for independent learning and lead us to think about the impact of foundational authentic texts being the lever that brings all readers into a reading community. By providing access to authentic literature that students can see themselves in, and that empowers, excites and honors childrens’ languages, cultures, communities and stories, children build their identities and confidence as capable and engaged independent thinkers, readers, and writers.